Do Spray Tans Last Long? Women who want bronzed skin or just a hint of warm golden glow often turned to spray tends these days rather than unhealthy hours in the sun or tanning booths. One of the first questions you might ask when considering a spray tan is how long it will last. While the answer may be different depending on the type of tanning solution, how much is applied, and the particular method of application, most spray tans last about 5 to 7 days. Spray tans do not last very long. They may be perfect for a special event such as your wedding or a hot date, but you do need to go back to the salon for reapplication after about a week. In order to save money and reduce some of your exposure to the tanning chemicals, there are several steps to take to make the spray tans last longer. When you ask, "do spray tans last long?" And the answer is only about a week, you may ask yourself whether it is even worth it to get one. However, if your skin burns instead of tans outside or if it is the dead of winter and too cold to lay out, a spray tan is your best bet. The secret to getting a spray tan last is to prepare in advance. Begin with a thorough exfoliation of all the skin that you intend to have sprayed with the tanner. Dry skin will soak in the solution more than fresh skin. However, the human body sloughs off dry skin very quickly and regularly every day. This would result in darker patches to begin with that quickly disappear and leave no tanning behind. Shave well or wax at least 24 hours before the spray tanning is to take place. If you do it too soon, the tanner can actually soak into the hair follicles more easily and create spots. Nothing should get in the way of the spray tan application. This includes the residue from moisturizing soaps or body washes, moisturizer or lotion, sunscreen, deodorant or antiperspirant, and even cosmetics. Arrive at the spray tan appointment perfectly clean and ready to go. Because each salon could use a different solution applied a different way, it is necessary for you to ask at your appointment what aftercare you should do. Perhaps showering soon is ideal or you may have to wait a day before bathing. 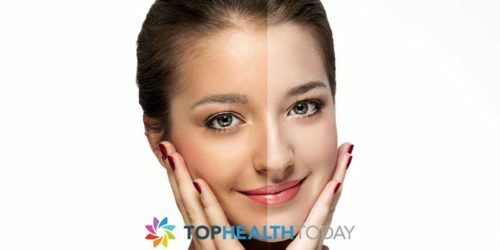 Will moisturizer protect the tan or will it cause the color to shift and become an even? Exfoliation treatments are never a good idea if you want your spray tan to last longer. Although they can help you feel more beautiful and confident, spray tans do not last very long. These short procedures should be done about once a week if you want to maintain the same summary bronze or golden color. Even though there is little to do the week after, proper preparation can help the spray tan look its best as long as possible. Will A Spray Bronzer for Skin Look Natural? Will I Look Orange After a Spray Tan?